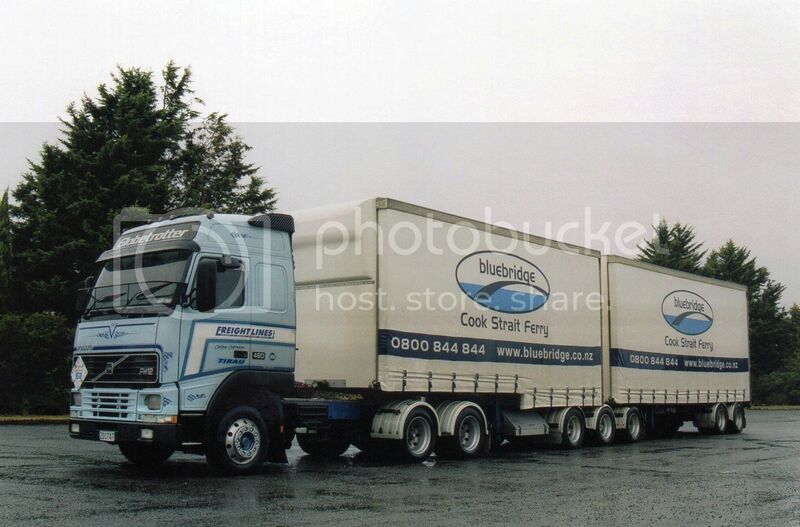 The Road Ranger Blog: Truck Siftings. A few more pics sifted from the last of my scanned photos. 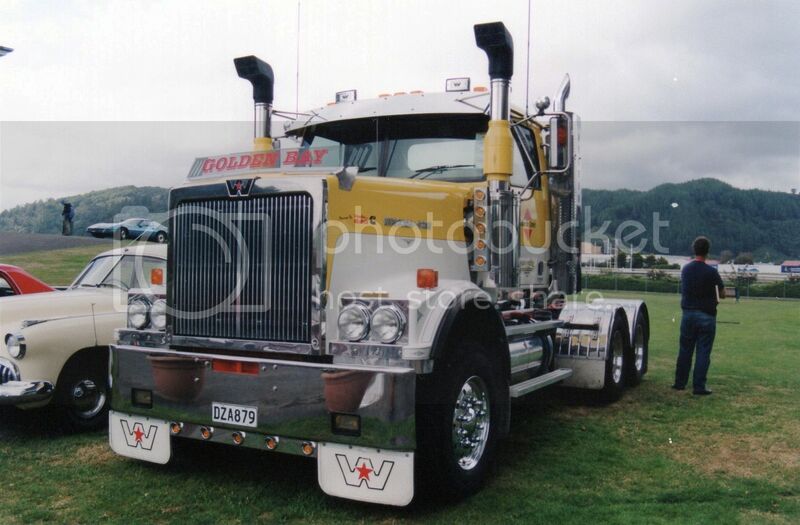 Tony Collins' 2007 Western Star 4964FX hauls tanks of powdered cement for the Golden Bay cement company. Here, it is on display at an American car show. 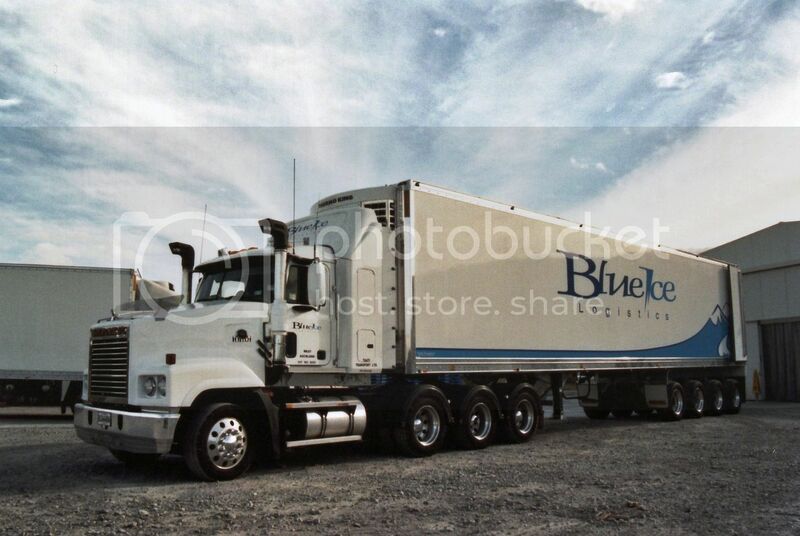 The alternative to an 8 wheeler twin steer tractor is this configuration. Single steer with a tridem rear end.. 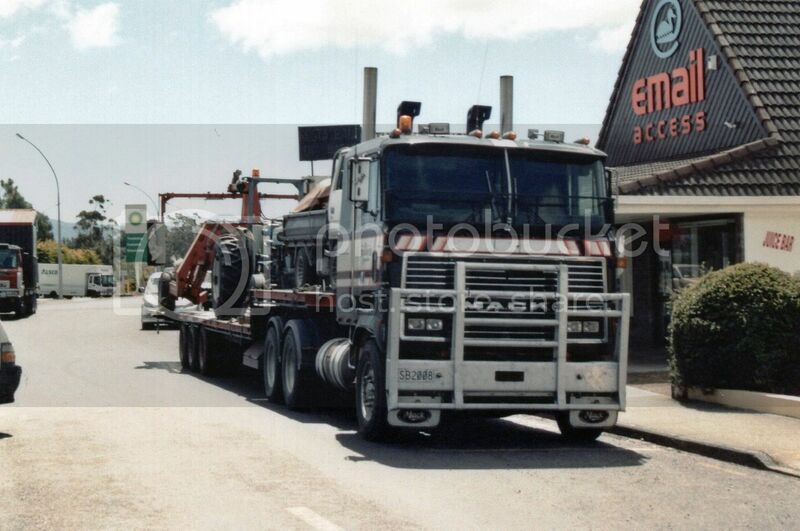 This 2003 Mack Trident operated by Taati Transport is loading at Premier Bacon Company in Carterton. A slightly blurry shot of McDowall's Western Star passing through Waiouru. 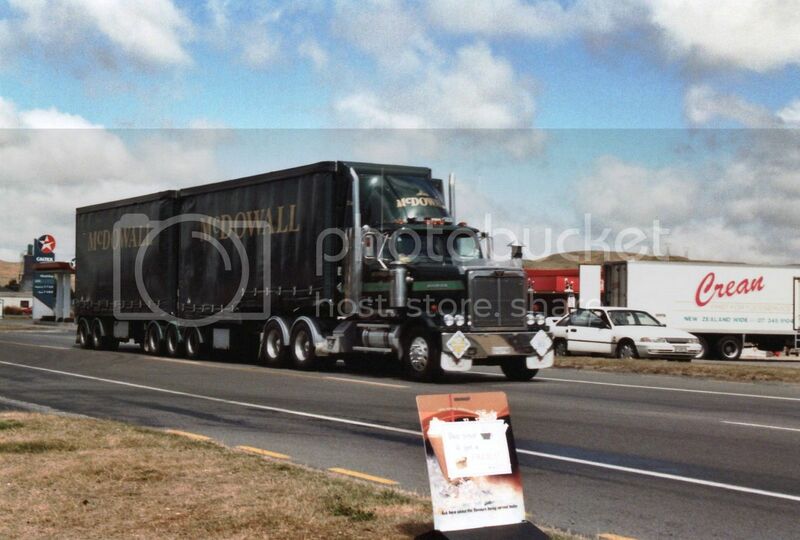 This 1990 Mack Ultraliner MHS622RST parked at Waiouru was still doing splendid service in 2008. 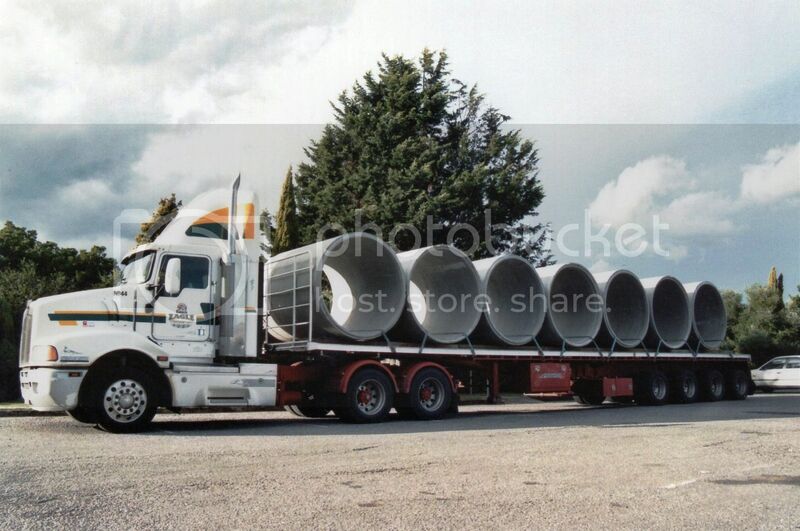 Eagle Transport Kenworth with a load of large pipes. Express Logistics Fuso parked with B-train in Stokes Valley. 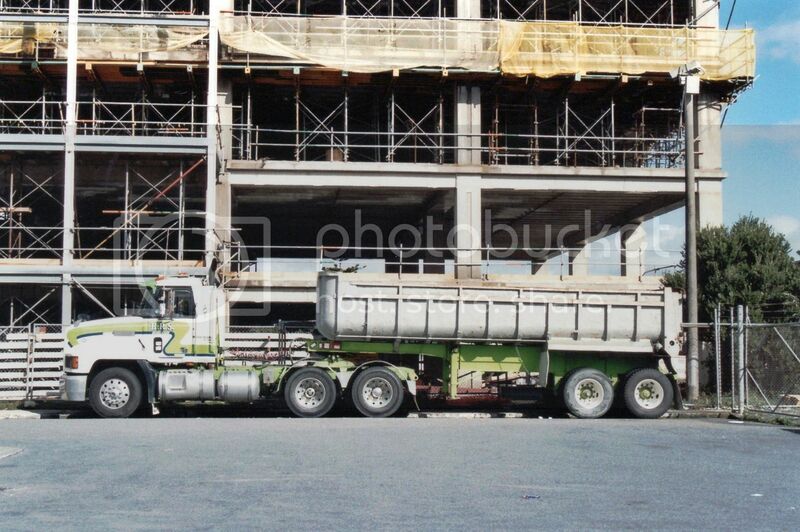 Assisting with the extensions to the IBM building in Petone, is this Mack CH of HRS. 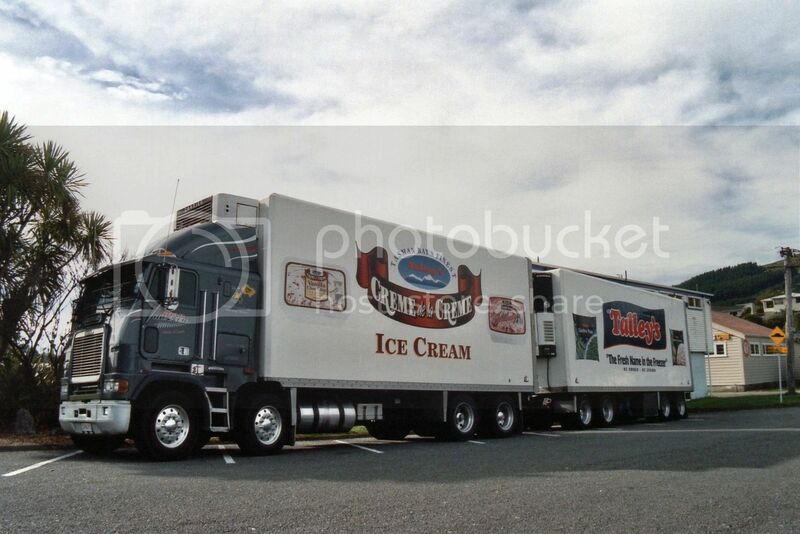 8 wheeler Freightliner and four axle trailer might be full of ice-cream !. 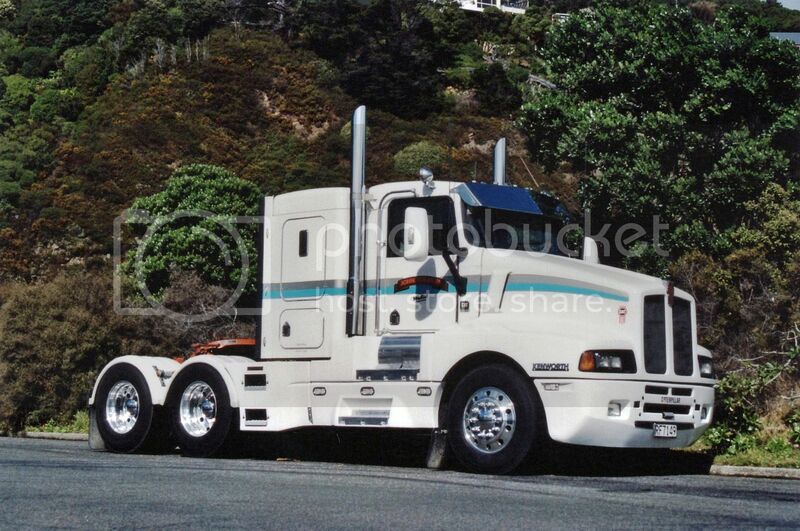 Another American from the John Lockley fleet is this 1992 Kenworth T602. Not yet painted in the familiar gold livery. 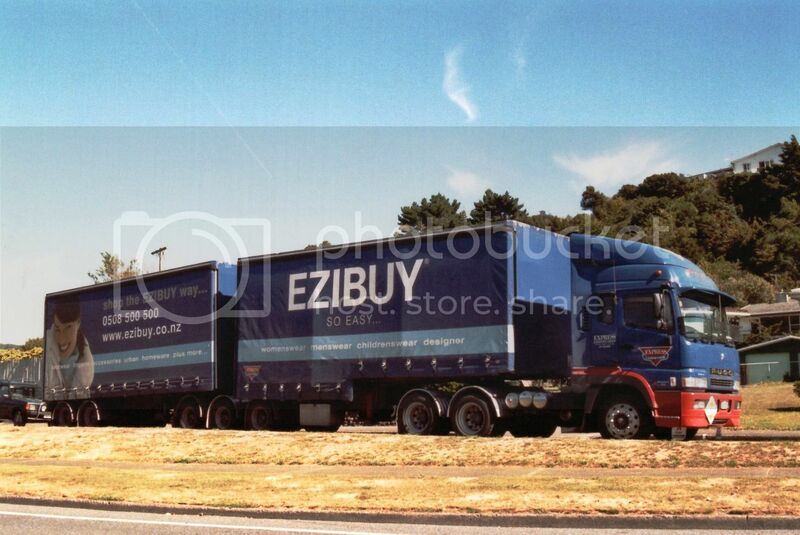 The colours in this photo must have been too bland for the scanner to recognise. So a black & white image of a Mercedes 1835 operated by Second 2 None. Volvo FH12 460 Globetrotter operated by Freightlines, parked in Masterton on a gloomy winter's day. Another shot taken on a gloomy day. 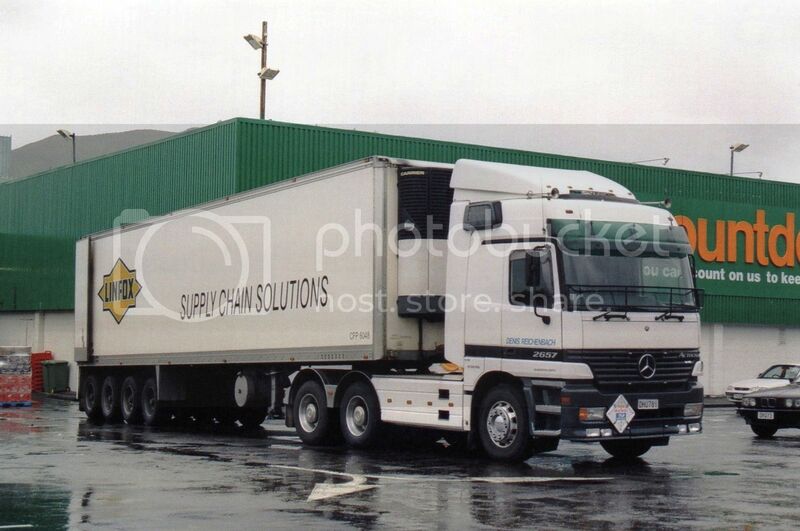 Denis Reichenbach's Mercedes Benz Actros 2657 unloads at Countdown supermarket in Wainuiomata.